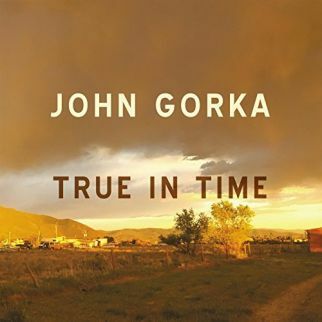 ​There is an immediacy to True in Time, the recent album release from John Gorka. The words and music come together to create a ‘right now’ environment, the backing band joining the guitar work of John Gorka in a real-time recording process with live sessions, and creating a sound shifting foundation for the vocals that include cameo appearances from Eliza Gilkyson, Lucy Kaplansky, and Jonatha Brooke. Quiet strumming opens True in Time with the title track as lead cut, John Gorka letting his mind wander as he finds that his words are in a loop that pass by in a message from another, the past following the same path as actions left behind that cast a shadow today. John Gorka makes a vow to never let love make a getaway with “Mennonite Girl”, hears a “Cry for Help” from voice that cannot help itself, and finds room in a “Crowded Heart” for imaginings. John Gorka rides into “Red Eyes & Roses” on a Folk Country ramble. The track is one of a handful of ‘lost songs’ that appear for the first time in album form on True in Time, joining longtime live show favorite “The Body Parts Medley” and “Blues with a Rising Sun”, a tribute tune to Bluesman Son House. Musically, True in Time wraps soundscapes that cater to a varied group of Folk-based arrangements, adding in touches of Country, Blues, and Americana. 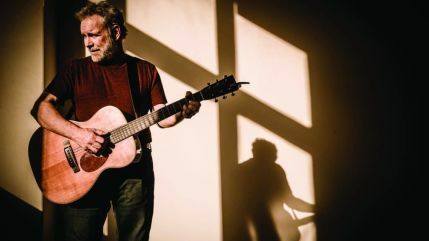 Nodding to early believers, “Nazarene Guitar” is dedicated to friends at Godfrey Daniels in Bethlehem, Pennsylvania where John Gorka got his start as a songwriter, the muse for the song John’s 20-year old martin guitar. True in Time travels to New Mexico to visit “Arroyo Seco” as a campfire lights the stark chords and late-night whispered confessions of “Fall for You” while John Gorka weaves a fictional story using real-life feline friends to star in “The Ballad of Iris and Pearl”.